Today isn’t a great day for Carlo Croce, chair of the department of cancer biology and genetics at The Ohio State University (OSU). The New York Times has a lengthy article detailing the misconduct accusations that have swirled around Croce for years. We’ve covered many, but The Gray Lady obtained documents that show there have been many more. The story mentions a 2013 letter from Ohio State University to pseudonymous whistleblower Clare Francis (which we reported on in 2014), acknowledging Francis’s allegations against Croce. However, in the letter, an administrator said OSU saw no reason to investigate Croce. 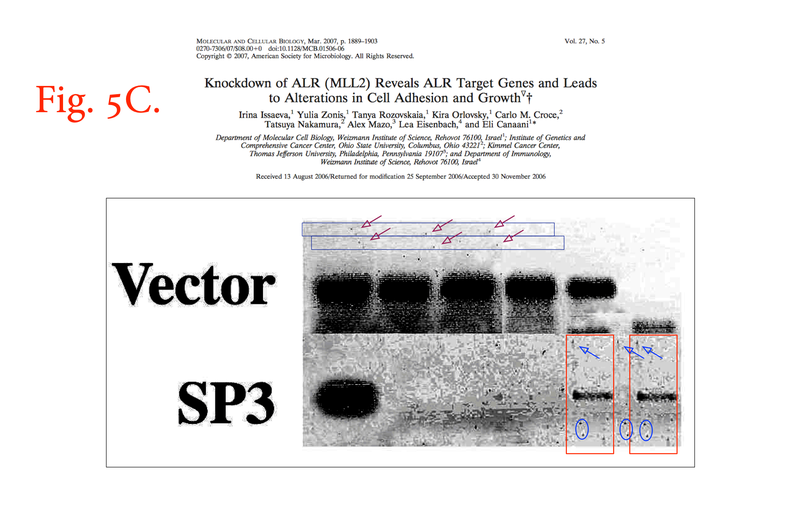 Since 2014, another critic, David A. Sanders, a virologist who teaches at Purdue University, has made claims of falsified data and plagiarism directly to scientific journals where more than 20 of Dr. Croce’s papers have been published. As a result of complaints by Dr. Sanders and others, journals have been posting notices of problems with Dr. Croce’s papers at a quickening pace. From just a handful of notices before 2013 — known as corrections, retractions and editors’ notices — the number has ballooned to at least 20, with at least three more on the way, according to journal editors. 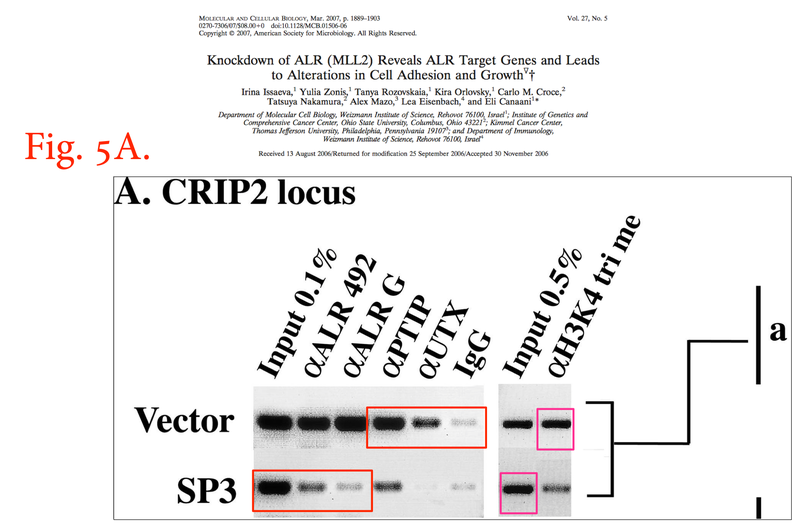 We’ve tracked many of these notices: In January, after one of his papers was retracted for an image “mismatch,” Croce accused his co-authors of fraud. 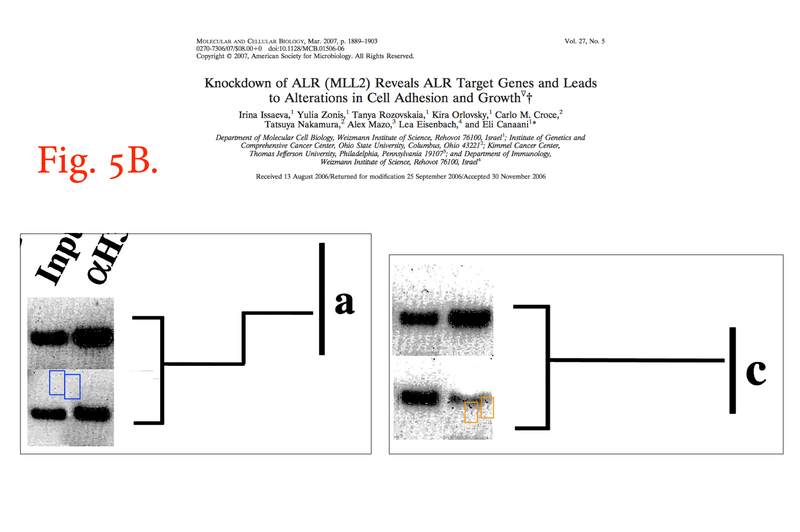 Last year, he retracted a News & Views from a Nature journal after accusing them of censoring his writing, and he lost another paper last year in the Journal of Biological Chemistry for image duplication (Croce denied to us having any role in the paper). 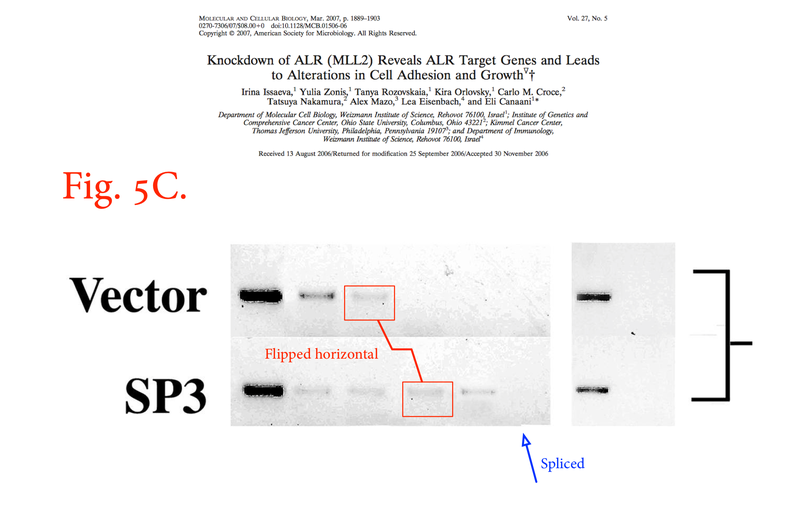 By our count, Croce has logged five retractions (1, 2, 3, 4, 5) and has multiple papers questioned on PubPeer, many of which he’s coauthored with Alfredo Fusco, a cancer researcher in Italy who has nine retractions and is in the midst of an investigation for scientific misconduct. [In the 1990s], Dr. Croce and a colleague faced federal allegations that they had submitted false claims for payment of grant money for science that was never carried out and that was to be overseen by a scientist who had, in fact, left the United States and gone to Italy. After the case was combined with a second fraud investigation, a civil settlement forced Thomas Jefferson University in Philadelphia, where Dr. Croce worked at the time, to pay $2.6 million to the government. Neither Dr. Croce nor the other parties to the settlement admitted any wrongdoing in the case. Dr. Croce was cleared in both of those cases. The editors wish to note that, after this article was published, a reader noticed that some fragments of text and some sentences in the abstract, significance statement, introduction, and discussion overlap with text from other articles and were reproduced without quotation marks. No concerns have been raised about the originality of the research or about the results and conclusions. Some text in the abstract and the significance statement overlaps with text from ref. 19. 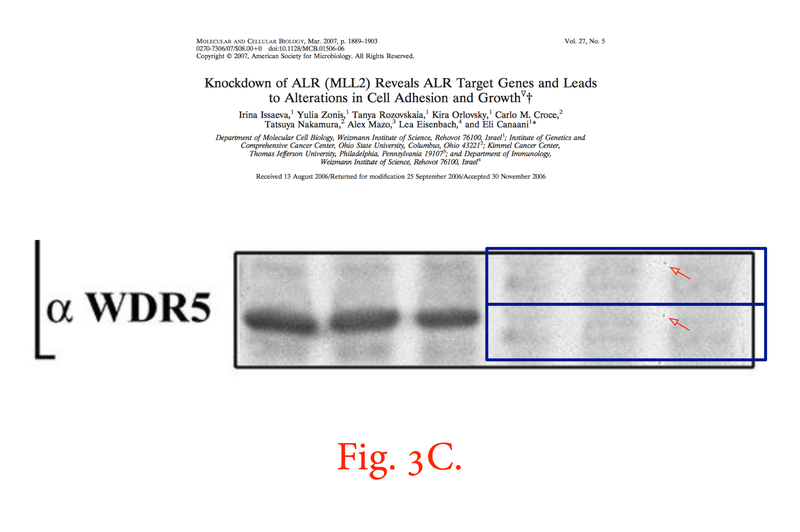 19-Wang Y, Huang JW, Calses P, Kemp CJ, Taniguchi T (2012) MiR-96 downregulates REV1 and RAD51 to promote cellular sensitivity to cisplatin and PARP inhibition. Cancer Res 72(16):4037–4046. 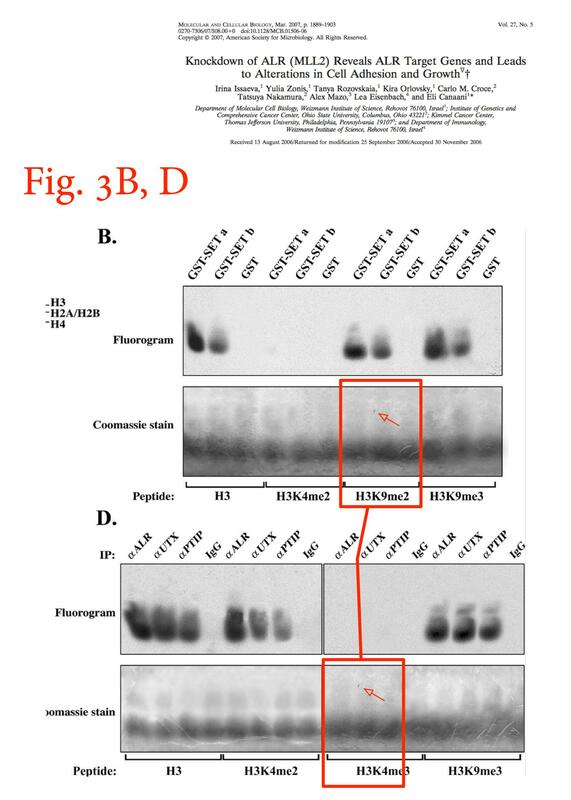 4-Nogueira A, Catarino R, Medeiros R (2011) DNA damage repair and cancer: The role of RAD51 protein and its genetic variants, DNA Repair and Human Health, ed Vengrova S (InTech, Rijeka, Croatia). 19-Wang Y, Huang JW, Calses P, Kemp CJ, Taniguchi T (2012) MiR-96 downregulates REV1 and RAD51 to promote cellular sensitivity to cisplatin and PARP inhibition. Cancer Res 72(16): 4037–4046. 21-Le Calvez-Kelm F, et al. (2012) RAD51 and breast cancer susceptibility: No evidence for rare variant association in the Breast Cancer Family Registry study. 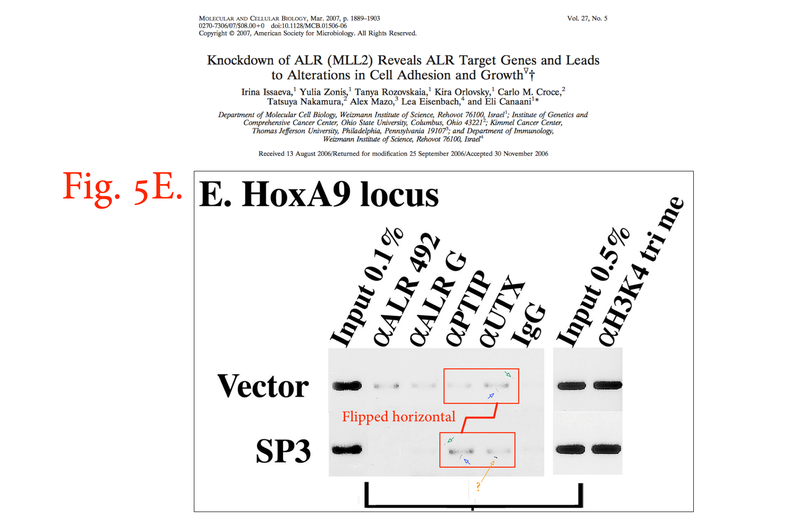 PLoS ONE 7(12): e52374. 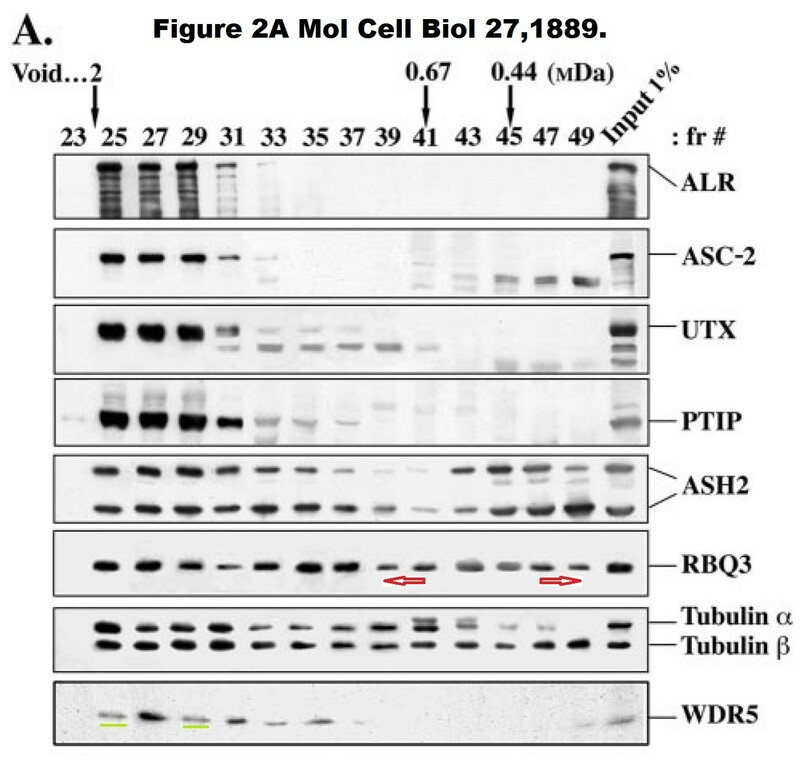 25-Bartel DP (2009) MicroRNAs: Target recognition and regulatory functions. Cell 136(2): 215–233. In the discussion, paragraph 5 overlaps substantially with text from ref. 44 and is now shown with quotation marks below. 44-Bisso A, et al. 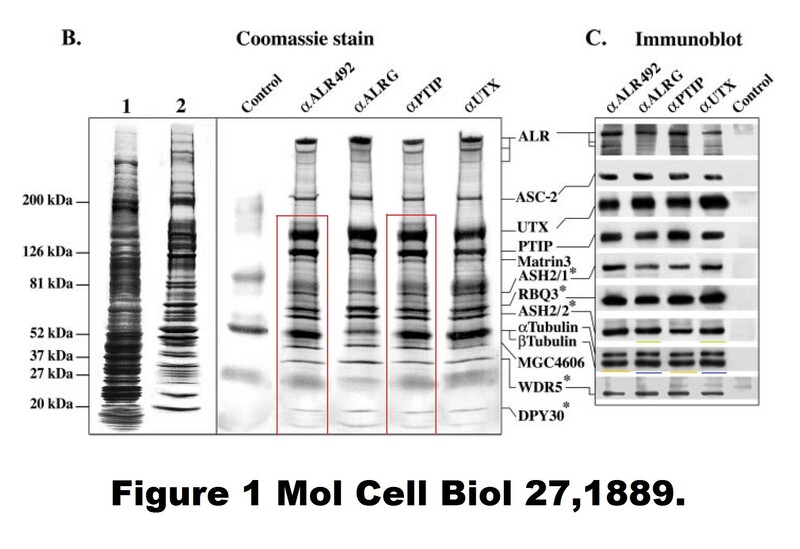 (2013) Oncogenic miR-181a/b affect the DNA damage response in aggressive breast cancer. Cell Cycle 12(11):1679–1687. The extent of the overlap in this case is not entirely clear. During an interview in October, and in a later statement, Dr. Croce, 72, denied any wrongdoing, said he had been singled out in some of the accusations simply because he was a prominent figure, and largely placed the blame for any problems with figures or text on junior researchers or collaborators at other labs. This isn’t the first time OSU has had to wade through misconduct allegations. Pharmacy professor Terry Elton was sanctioned in 2012 for manipulating dozens of figures — but only after OSU reopened its initial investigation, which had concluded the problems were due to “disorganization,” not misconduct. The institution also recently launched an investigation into one of the co-authors of a now-retracted (and heavily criticized) paper that suggested first-person shooter games can train people to become better marksmen. What a sad story about money and influence and the role of universities. I feel especially for the trainees whose (hopefully) legitimate work some may see as tainted by association. It’s interesting what Croce has to say about his colleagues (‘“Scientists are like cows,” he said. “They like to follow something which has already been established.”’) considering that his view of massive effects of miRNAs is in some ways the “established doctrine” in the field. NYT says “My sense was, Carlo Croce’s too big to make findings of misconduct on,” Dr. Dahlberg said in an interview. “It just wasn’t going to happen.” Why should any NIH-funded researchers be too big to make findings of misconduct on? Are there other researchers who are too big to make findings of misconduct? It is of interest to see PNAS referred to a December 1994 document from the Office of Research Integrity that stated “ORI generally does not pursue the limited use of identical or nearly-identical phrases which describe a commonly-used methodology or previous research because ORI does not consider such use as substantially misleading to the reader or of great significance.” I wonder whether the ORI still feels so accepting of plagiarism some 22 years later? All language consists of commonly used phrases used without attribution, as they are generally deemed to be of public domain. You led your comment with the phrase, “It is of interest”. This is is a copied, unattributed phrase. However, it does not constitute plagiarism as no reasonable person would give you credit for inventing such a statement. Highly technical language is often reused over and over, as there are only so many ways to describe certain constructs. This is especially true in math/stat, as there are only so many ways to describe concepts, in a mathematical manner, such as a Gaussian distribution, and the precision of the mathematics precludes rewriting things “in your own words”. I have not looked at the papers in questions, but the general principle the ORI is advancing is sound. Were it not, virtually all scientist would be guilty of plagiarism. You are right. This is the reason why the ORI< with limited resources, chose to not waste resources on this particular kind of lapse. The passage quoted above is entirely factual. There are only so many ways to state these observations. One could of course argue about whether the choice of these particular facts, with prior work described in this articular order, to the exclusion of other related results, constitutes plagiarism. Plagiarism is obviously not commonly used phrases. And it is not that hard to avoid – put things in your own words and/or provide a reference – even in a methods section! If you don’t, the mistaken assumption may be made that you thought up the method yourself. The ORI may have distanced themselves from making a federal case of out “minor” plagiarism, and journal editors may use this as a crutch, but at best this is sloppy science. Carefull now. Do you cite Carl Friedrich Gauss every time you use OLS regression? Do you cite Fisher every time you use ANOVA? Do you cite Robert Recorde every time you use the plus or equal sign? Many methods are so commonly used, that no reasonable person would attribute them to you. Lack of attribution in these cases does not constitute plagiarism. This is what the ORI statement is all about. This is my problem with the ORI statement – it may give students the idea that it may be OK to plagiarize just a little bit, or to not cite relevant papers. If you take it to the extremes that you mention of plus and minus signs, does that mean that nothing really has to be cited because we don’t cite plus and minus signs? Seems like then we should just throw in the towel about research integrity! This is an excellent point. But it is not about the ORI statement itself, but rather addresses a concern that students may misinterpret or twist the ORI statement to their advantage. Nevertheless, the ORI policy/statement is necessary, for if you maintain, as some do, that any unattributed copying of methods or text from others constitutes plagiarism, then virtually anyone can be found guilty of this offense. The ORI should not set an impossibly high standard, that almost no-one can attain, and then selectively enforce it when the find someone they don’t like. The ORI statement on plagiarism helps protect against this. In summary, plagiarism is more challenging to determine than one might initially expect. Why did they pay $2.6 million to the government? Presumably the government was the victim of the fraud. The lesson to be learned: No data, no problems! 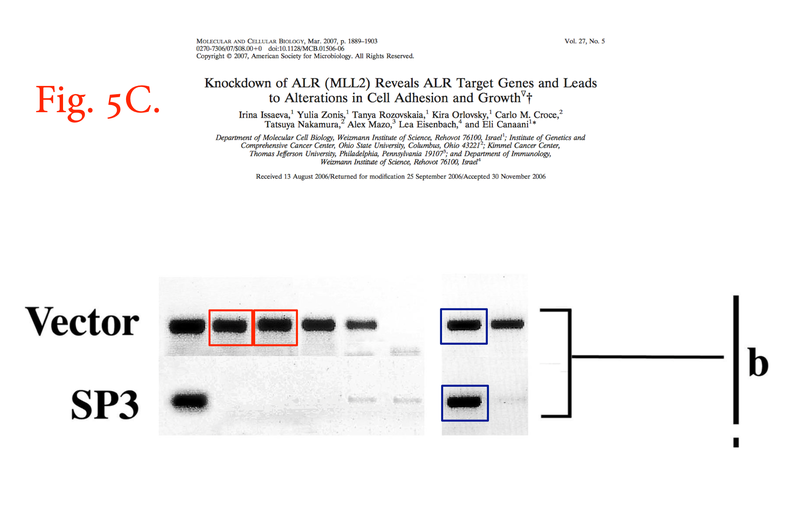 In light of the concerns, if the data have gone missing, the papers must be retracted. It’s that simple. I completely agree. If there is no data, there is no research and no paper. But unfortunately, journal editors usually don’t view it as that simple. Fabrication of research data needn’t original data! 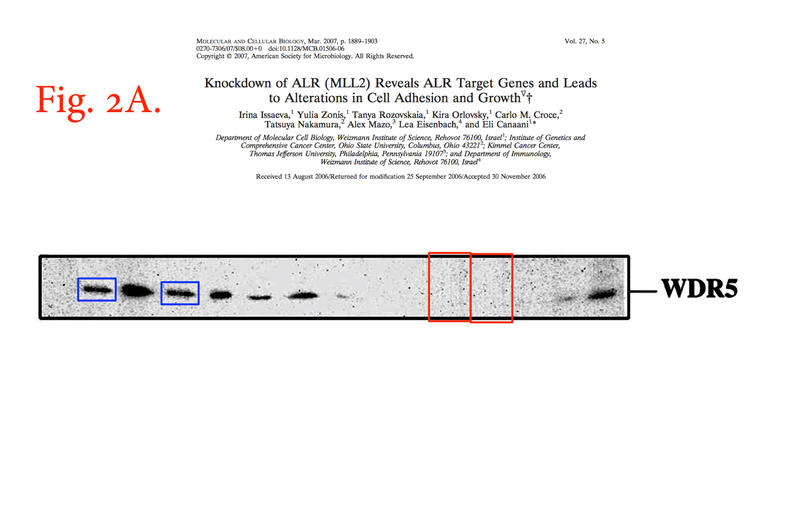 Concealing evidence of data falsification by removing original data – also no data! Are there problems? 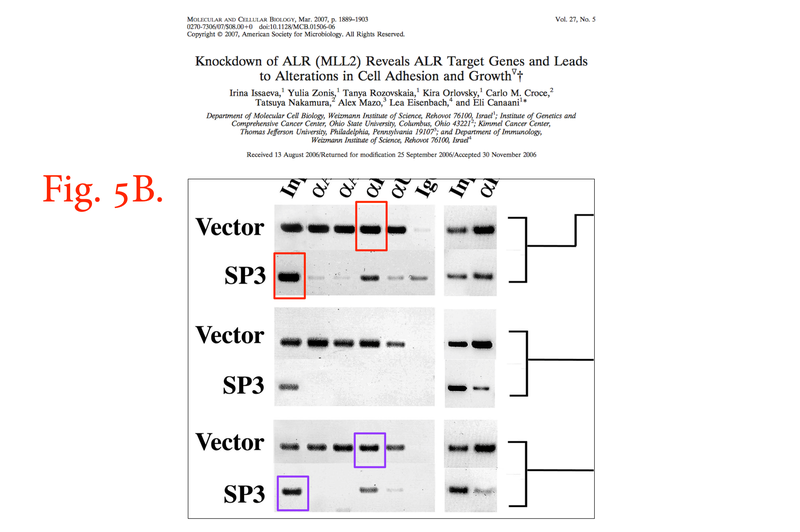 Interesting how PNAS will defend poor practices among its authors until pushed in a corner! The Times article exposes a major problem in the processes for investigating research misconduct, i.e., too much discretion is given to institutions in these matters. For good or ill, ORI is simply not equipped – except in the most extreme cases – to ensure institutions run their processes fairly. The limited nature of of ORI (or NSF) oversight has two negative consequences. One consequence, as shown by the Times article, is that ORI is struggles to ‘police’ a major university that has a strong interest in protecting its own ‘superstars.’ The other consequence is a situation not covered by the Times article but one that is a very real problem for scientists who are not ‘superstars,’ i.e., when an institution tramples on the rights of an accused researcher, ORI is not in a position to protect the interests of the accused. As a lawyer who often represents scientists accused of misconduct, I have found that appeals to ORI to ‘rein in’ unfair or excessive institutional investigations are rarely heeded. Fortunately, the Department of Justice, which enforces the false claims act and the criminal statutes, has the power to ensure institutions do not allow their ‘superstar’ researchers to produce flawed research. Unfortunately, there is little or no government protection for the junior scientist who is abused by the institution. “As a lawyer who often represents scientists accused of misconduct”. That is self-advertising. “I have found that appeals to ORI to ‘rein in’ unfair or excessive institutional investigations are rarely heeded”. Please provide some evidence of that statement. Exactly. The institution usually has a strong COI and should only be able to contribute to the investigation not to lead it. Mr Goldstein presents the fundamental conundrum. The University is solely interested in maintaining the credibility of “superstars,” who often know the rules that they can bypass to advance in the University environment. Meanwhile, those who decry falsification of credentials and data by these superstars are vilified both locally and Nationally, because they adhere to the fundamental rules that govern academic medical research. In effect, the rights of the accuser are often trampled to afford privileges for those that are (rightfully) accused. In response to the debate above, by Stephen with Aimless and Muster, yes, the ORI continued to follow this ORI “what-is-not-plagiarism” federal policy for decades. Making findings of research misconduct, to be published in the Federal Register, NIH Guide, and ORI Website forever, for minor copying of literature background, methods, and work with collaborators seemed inappropriate and much too time-consuming, given huge difficult cases of falsification and fabrication that ORI did and continues to handle. “President Michael Drake says the school asked a team of people “with national reputations” in the field to look into the allegations and review Ohio State’s response to the misconduct claims.